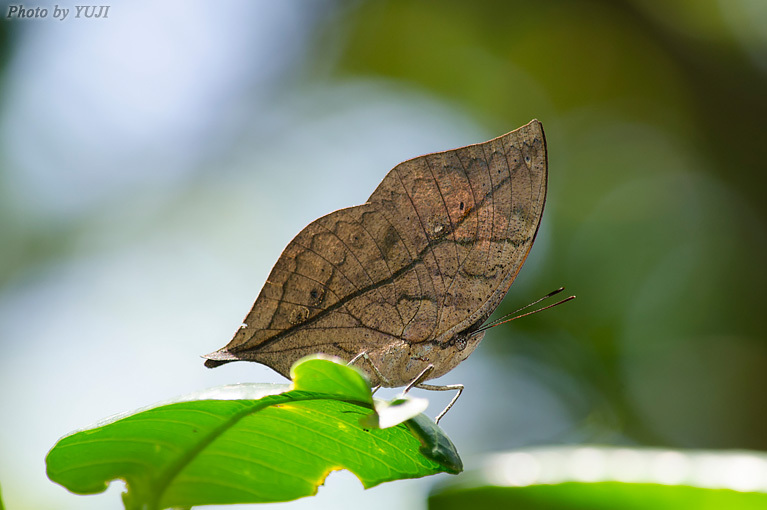 The Orange Oakleaf ( Kallima inachus eucerca ) is distributed over Okinawa Island, Iheya Island, Ishigaki Island, Iriomote Island. Japanese name is Konoha-tyou. Tyou means butterfly. Konoha means leaf. The backside of the wing is like the leaf. Larval food plants are Strobilanthes tashiroi and Strobilanthes glandulifera. Natural monument of Okinawa pref. The desktop wall paper of Orange Oakleaf is here.